I started my music industry career in several different internships with various companies, some were paid and others were not. I’ve also hired and worked with several as an employer. I wanted to write this to help interns who are just starting their internships or currently looking into getting one. Without question, I recommend getting an internship or mentor before beginning your career in your choice of industry, specifically the music industry. Trade schools and colleges are great for teaching the helpful fundamentals, but it’s the actual working in an industry environment that will give you the hands-on experience, references and relationships that will help further your career. I also know professionals who never had professional schooling in their profession but thanks to valuable internships have been able to still pursue and succeed in their career of choice. Think of it this way, without an internship or work experience outside of your schooling, you are one of thousands of applicants that are vying for the same jobs and positions you are. As employers, the most important qualities we look for aside from skill set are work experience and referrals. I’ve seen many people get hired based strictly on the recommendation of someone they respect or admire. In the fast paced music industry, employers don’t always have an HR team or personal time to spend hours reading resumes, the perfect person they need can usually be found a phone call away from someone they already know. With that being said, with the help of people on my team who have also worked as interns or currently working as interns, I’ve put together a list of “How To’s” to help you along your way. I wish when I started my internships that I had some of the advice below and hope you find it helpful as well. Email us if this blog post has helped you at info@thirdfloornetwork.com or you have a great story to tell of a successful internship. Be clear on the start and end date of your internship, have the dates in writing, which is typically 3 or 6 months and before the last month of your internship remind your employer that the end date is coming up in case they haven’t talked to you about it already. Before starting an internship, imagine the dream scenario – to most of course it is getting hired on full-time by the company for a salary position, but truth be told most don’t have budgets to continuously hire new people so there should be other goals in mind including getting a great reference letter, learning new skills, working directly in the field, building key relationships with people in the building and other interns who will be future leaders and colleagues as you both progress. Be clear from the beginning to yourself and your direct report of what you are looking to gain so that you leave with what you were wanting. Don’t be discouraged if you don’t get hired after an internship, if you were memorable and great you can get referred for another position that another company is hiring or get hired by the company later down the line. If you did not get hired by the company you were interning for make sure to ask if they had colleagues that may be of a need of assistance. Don’t ever get turned off by internships. Most successful people see internships as an opportunity to get a mentor. Each mentor can teach you something different overtime. Consistent hard work matched with connecting the dots will get you in your desired position over time. There have been plenty of times where when my internship was over, because my boss saw great potential in me, referred me to someone else or another company, this can be for you too! 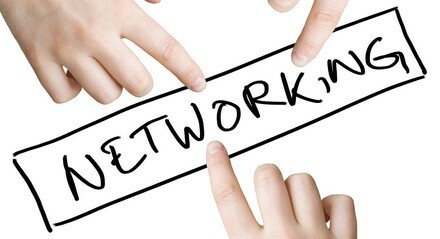 -Are you networking with other people? -Does your boss and key executives know your names and skill-set? -Are you learning more about your field that you desire to be in? Make sure you understand what your company does, do the research before you start as well as research on the roles and people you work for, this will give you an idea of how you can be of great value and help them. IE. If your boss is a marketing director come up with marketing strategies that would reach your target demo in college if your company is trying to reach people your age, if you want to be a publicist, attend as many events as you can where you can network with other media publications that could be important to the publicist like red carpets and music conferences, even if it’s meeting another intern at that company, spend the time to make those connections for future clients. if you want to be a DJ, ask a club or a DJ if you can tag along for a day to help them with what they needed like taking photos or videos for social media, and watch how they do it. The person you are helping may not even realize your value until it is offered. There can be times when your direct reports or boss are so busy they don’t have time to give you an assignment. After asking if there is anything you can help with, if there is nothing assigned, ask if you can do something you think would be beneficial that they might not have thought of. Examples can be organizing and filing away papers, photocopying receipts for an expense report, re-alphabetizing the CD collection, etc. If there still isn’t anything to do, Google will be your best friend. Take the time to do market research on the industry, the company, free workshops or networking events to attend to and read the trades on your industry. Confidence is key but don’t let your ego take over. No one likes a ‘know it all.’ Believing in yourself means believing you are capable of doing anything or learning how to do so. Allow yourself to be a sponge of your environment. Have the confidence to share your ideas and don’t be discouraged if they aren’t always the right answer. Showing that you care enough to TRY to think outside the box gets you brownie points, plus if your supervisor(s) give you feedback on your ideas it can be useful in making future decisions and advice for your current organization or another you may work or in the future. No one likes negativity or a debbie downer. Positivity is also contagious and will always rule out negativity. A positive attitude no matter what comes your way shows that you are a problem solver, can handle big responsibilities and makes you pleasant to be around. Don’t participate in negative chatter about others or the company, even if it is your boss that is doing the talking. Watch your speech as well, sometimes you will catch yourself complaining about the traffic, your school work, etc. You don’t want your limited conversations with those in your environment to be negative ones because even if you aren’t a negative person, it may provide the image that you are. SMILE in and out of the office! Most new interns are shy and timid which could make it uncomfortable for others to have conversations with. A smile allows people to feel at ease to talk to you which can create long lasting bonds. Talk to your employer and fellow interns, ask them about their weekend and so on. The key to success in the industry are your relationships and it’s important to develop them in and out of the office. Even as an intern, you are a representative of that company so it’s important to be remembered as someone positively versus negatively. If it takes a few times for your boss or other people you meet to know your name, don’t be discouraged, make it a goal for them to remember you. Remember that people in the music industry meet so many people a day, they might forget names but they remember faces and smiles. The more events you attend and see familiar faces it will get easier. Offer help to anyone you may potentially want to work for or with. Between school, work, internship and life, find a way to balance it all. Life is always a balancing act no matter how successful you become and it actually gets harder as your career responsibilities increase. Create a schedule, stick to the schedule and communicate with your supervisor when circumstances out of the normal things arise such as a flat tire or a sickness. Choose what to focus your energy and time towards for the bigger picture. Get your assigned tasks done and communicate if you can’t. If you feel the internship isn’t right for you, be up front and honest from the beginning because there is someone else that could find the internship extremely valuable. The worst impression you can make is if you commit to an internship and constantly call in sick or show up late because you aren’t passionate about it. Learn how to prioritize school, work, family/friends and personal time, know that each part of your life is important in keeping a good balance. Your life shouldn’t be just about one aspect such as “all work.” A recommendation could even be taking less classes to allow time for an internship before graduation. A lot of companies only hire internships based on being in college. As a representative again of your company, your boss, etc. Make sure what you are posting online that you don’t want others to see is not public. Posting a status update of how bored you are or your company’s gossip is a quick way to get fired. Remember with technology these days, everything you post online or even via an app that requires a login could turn up somewhere, think of it’s worth it to post a picture with your drunk buddies in Cabo for a future employer to find later when googling you. I’ll help you answer that, It’s not. Update your resumes and linked in profiles with your new work experience. Keep a copy of the newsletter you wrote or take photos at the event that you covered, blog posts you may have wrote, etc. Make sure to be able to list everything you learned as this may come handy when a future employer is looking for that exact skill set. See an example of my video resume as well on youtube.com/roslynnc, which has come in handy when looking to expedite the process of learning my experience and creating your own will help you stand apart from the crowd. These are some tips to being a good intern, not the only ones, so do the research and don’t forget to have fun with the process. If you are still not happy in your work environments as you progress it could be that you chose a field that you are not passionate about, remember it’s never too late to change careers. EntertainmentCareers.net, NARIP.com, Internship.com, Mandy.com, your college message boards, Craigstlist, LinkedIn, etc. Think about family or friends and the companies they work at, if they know anyone that works at a company you’d like to intern at, there is a higher potential of you getting an internship at that company. 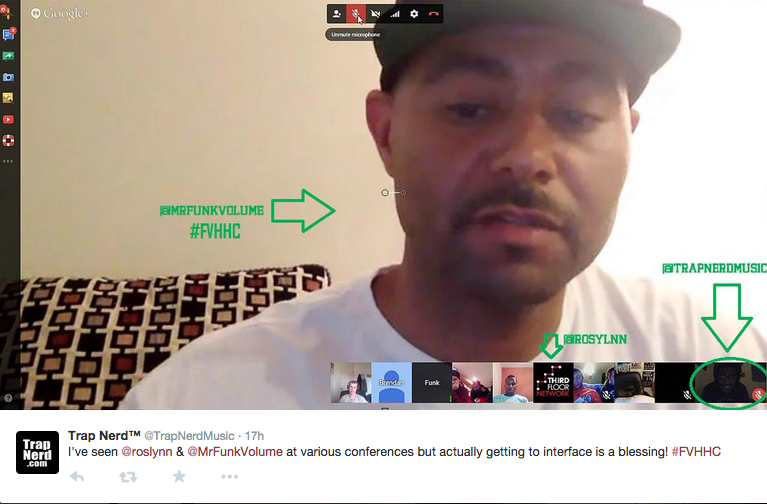 If you know of an executive, artist, manager, etc. that you’d like to intern for directly, it’s worth a shot shooting them an email or approaching them in person. 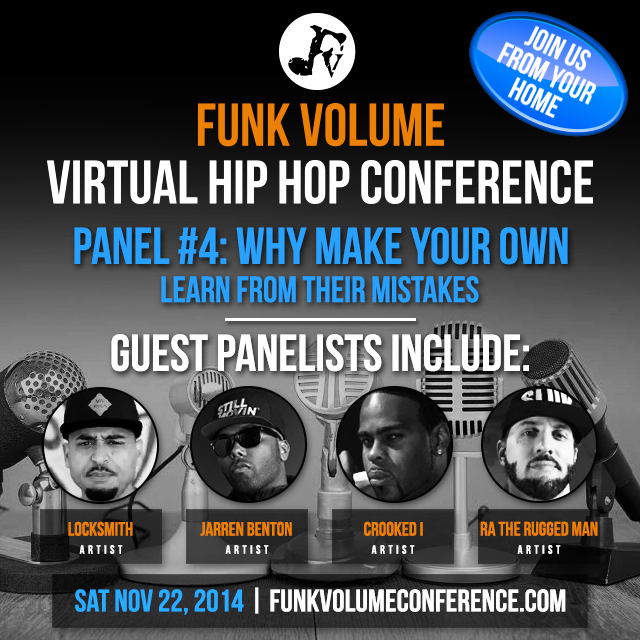 Not all music executives have reachable companies such as producers, etc. Assisting them for a selected period of time and having them as a mentor can be equally valuable. As someone who’s worked in this industry for years advocating for indie artists, specifically indie hip hop artists, some of the most frequent questions that they ask me are in regards to building a team, getting video views, touring and what mistakes not to make. 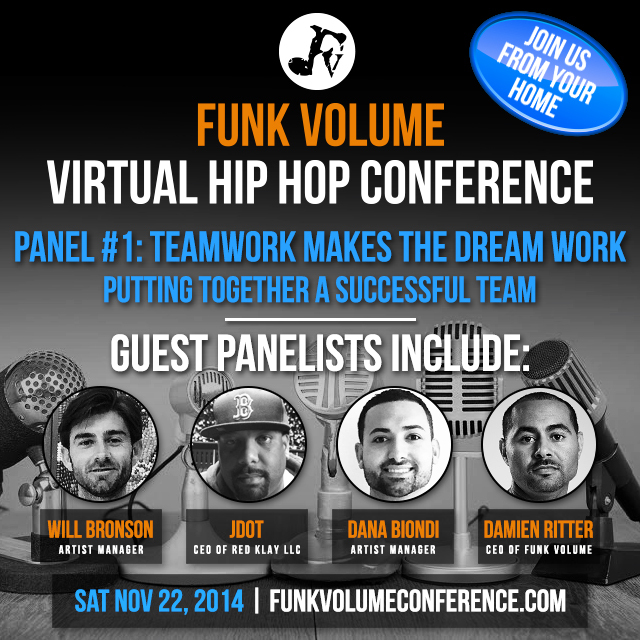 Thanks to Dame Ritter, CEO of one of the most successful current indie hip hop labels and the panelists for investing their personal time to answer these questions at the Funk Volume Virtual Hip Hop Conference November 22, 2014. If you are serious in taking your career to the next level as an artist or an executive, invest in yourself by taking the time to attend this virtual conference. Hundreds have registered already so do so now before seats fill out and registrations close. Learn here how to monetize your creativity by Ryan Leslie.